With October now in full swing, it’s time to start thinking about how you’re going to prepare for the big day. Whether you want to wow the neighbourhood with a spectacular Halloween costume or delight expectant door knockers, we’ve come up with a few ideas that are guaranteed to get you inspired! Halloween is traditionally associated with ghosts, ghouls and all things scary. If you want to get creative with this year’s spooky get-up, why not try your hand at hand painting a plain pants and top combo with a skeleton motif. Let the kids colour in the bones and you’ll soon have a costume that’s creepy and colourful! If you’ve got a little girl, the chances are that she’s going to shun the spooky options and insist on dressing up like a fairy-tale princess. And so she should! Princesses Elsa and Anna from Disney’s hit flick Frozen are undoubtedly this year’s most popular characters. Rather than order pre-made costumes online, try getting creative with fancy fabrics and stick on jewels. You’ll have hours on end of fun and end up with a costume that’s 100% original. However, if you are looking for the less scary costumes for the kids, then look no further than this amazing round-up from Super Mommy Club; if you don’t find something to suit within this lot, you never, ever will! What’s the point in squealing ‘trick or treat’ if you don’t have a good joke up your sleeve? Egg throwing is definitely out but there are plenty of pranks that are completely harmless. Using silly string is always fun, buy some toy creepy crawlies and show them to those who say ‘trick’. Or get out the party poppers and let things go crazy and messy. Chances are that you’re going to have a few groups of kids knocking on your door in search of a tasty treat or two. Rather than offer them store bought sweets, why not spend the afternoon baking up a storm with your little ones? 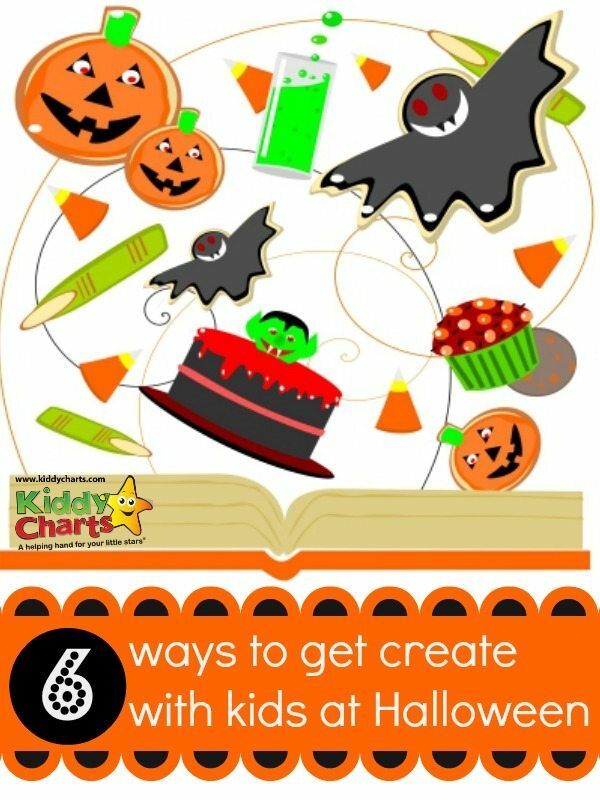 Kids will love decorating cookies and cakes with a spooky theme. Why not try making Dracula’s blood punch or cheesy popcorn brains. Making and eating can be enjoyed by everyone and putting together some treat bags is another great idea for the kids to get involved in. If you are struggling for a bit of inspiration, then head on over to Pinterest where there is plenty to look at; take Pink When‘s great ideas for desserts…you must be able to draw some inspiration from here. 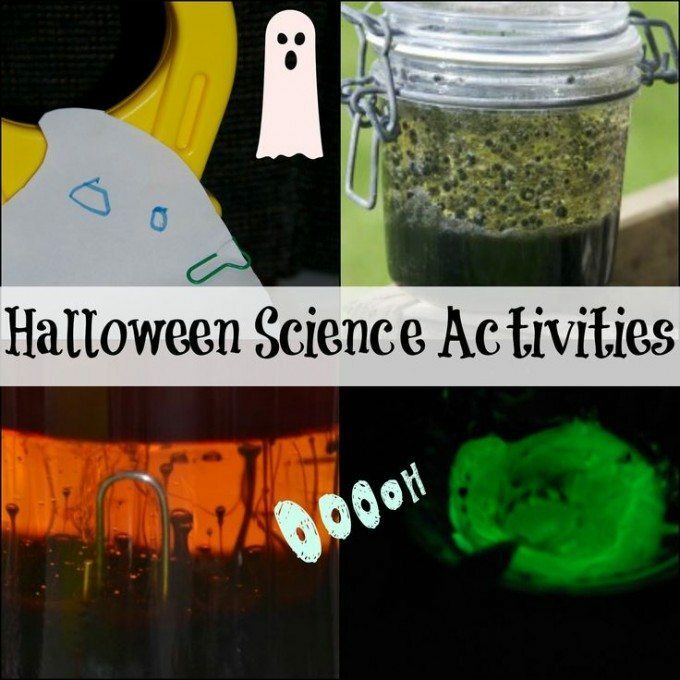 Halloween is an amazing time for learning too, so why not get the lab coats on with the kids, and do some amazing experiments too? Science Sparks is a favourite of mine for finding inspiration here, and her post on Halloween Science is a great place to start. You LOVE halloween Helen I can tell! great thank you! i really needed some direction! Ha ha, my kids would LOVE to dress up the dog! Some fab ideas here, thanks for sharing! We are going to a family Halloween party this year and we are all going to need costumes, so thanks for the inspiration! I love the idea of incorporating science into Halloween celebrations- science is Sausage’s favourite subject at school so I’m sure this would go down very well with her. Great post!